Some people really enjoy their pipes. House of Five Leaves episode 3 continues to develop at its own pace. 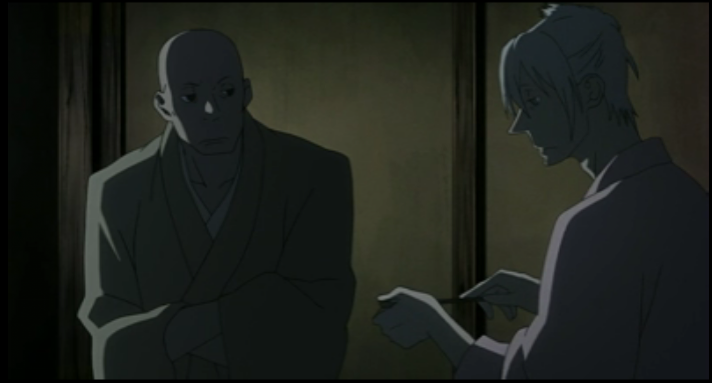 This truly is a slice of life show, in the meaning I have tried to articulate elsewhere; it conveys the experience of life in old Edo, which is presented as a dark, dispirited place. Meanwhile the deeper plot starts coming into view, as this episode challenges Masa’s ethics like never before, and gives us an idea of the experiences that made Yaichi the man he has become. One of the things that fascinated me about certain anime when I first started seriously watching was that certain shows put a great deal of effort into animating some very mundane things. 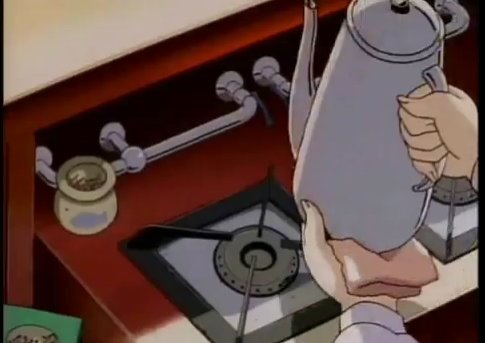 One of the classic examples for me, is the scene in Yokohama Kaidashi Kikou, when Alpha makes coffee. The animation of these mundane processes impresses me because they could easily be excluded as an unnecessary expense, but abstracting the characters from their everyday activities would generate settings that are sterile and generic. House of Five Leaves has precisely this attention to mundane details that impressed me. There are scenes of Ume preparing food (daifuku! ), and a scene of Masa polishing (?) his sword. 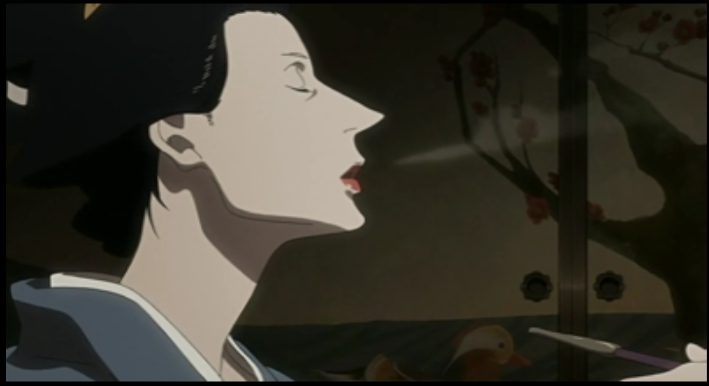 In one rather detailed scene, Yaichi smokes his pipe; he empties the ash, re-packs the bowl, and then lights it from a brazier. 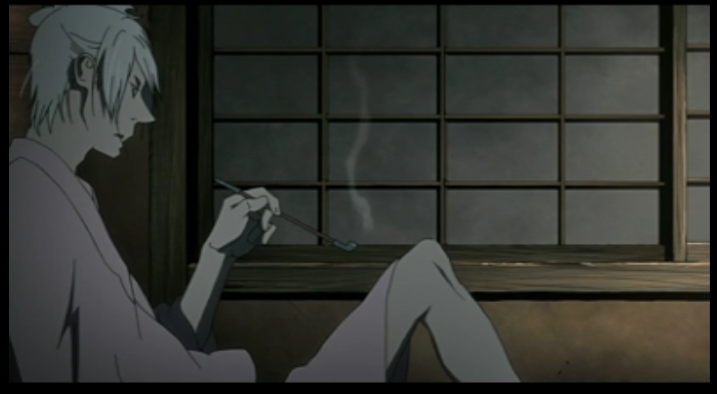 Yaichi packs his pipe lit only by moonlight. Another impressive thing about the world presented in House of Five Leaves is just how dark it is. Characters sit in rooms lit only by moonlight or small lanterns. The darkness is also present in society. Masa has difficulty finding legitimate work, and when he thinks he has found it, it turns out that he is being used by Yaichi and the other gang members. Mothers are shown to have little concern for their children. Further, a flashback shows that Yaichi knows the kidnapping business from both sides. House of Five Leaves does look like a pretty laid back slice of life. The animation is a winner, though o/ It oozes with style and uniqueness.